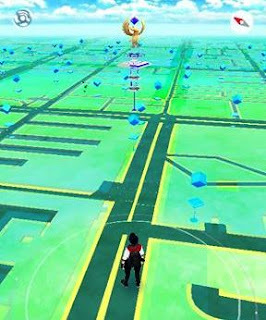 This trick will help you catch rare Pokemon easily by faking your GPS location. This will also allow you to become strong faster and chances are being the Gym Leader in a matter of days. No need to go outside and walk 3km just to catch one Pokemon. Stay at home and enjoy! Root your phone. Each smart phone has different ways of rooting procedure. Download Pokemon Go on PlayStore. If not available in your country, you can download on outside sources. Run Lucky Patcher and give root permission. Download and install Fake GPS location Spoofer and give it system rights. Install as system app. Run Fake GPS and go to settings and check EXPERT MODE. Leave the rest. Enjoy catching Rare Pokemons without going outside. May i share with you LuckyPatcher is a must have app, What it does is to Hacks almost every App like Removes ads.if you are interseted or more some information to watch this site..